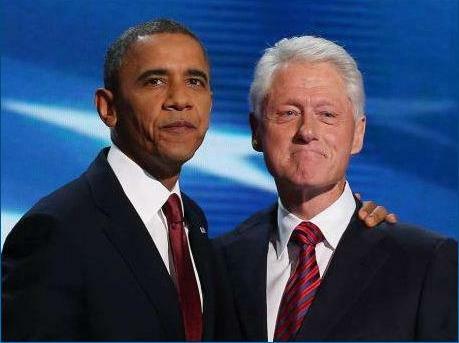 Barry & Bill: Presidents, Jazzmen, and Big Time Lenders of Your Tax Dollars to High School Graduates. During his speech at the Democratic National Convention, former President Bill Clinton made a point of reminding voters of a 2010 law pushed through congress by the Obama administration which, among other things, relaxed the repayment requirements for federally guaranteed student loans. Despite the fact this law allowed a lot of indebted Americans to breathe a little easier–and despite my admiration for these two men who have done their best to clean up after the Bush family–I was and am against this law. In fact, I am against the whole idea of the federal government lending money to students so they can buy their college education on credit. Hold on a minute, I can hear you thinking. Aren’t you a college professor? Don’t you have kids who will be university age soon? Yes and yes. But I’d hate to see my boys, or any other young person, rack up thousands of dollars of debt just so they can attend school. Not when there are other solutions. Federal student aid is driving a price explosion at America’s colleges and universities. Tuition prices have risen more than 400% since I received my BA in 1992. It’s gotten so bad that the money I paid to attend the University of California would not be enough to buy my sons an AA at the college where I teach. This is a community college, mind you, where classes used to be free. What does the precipitous climb of education prices have to do with federal grants and loans? To answer that question, let’s try a little thought experiment. Imagine for a minute that you are buying a new car. Imagine further that the demand for new cars is enormous. Everybody you know seems to want one. Because demand is high, the price of new cars has risen steadily, so much so that even though you’ve been setting money aside for this purchase, you can’t afford to buy one outright. What do you do? You get a loan, of course. Nothing easier. With a normal auto loan, you would pay some of your saved money down, then pay so much every month until the cost of the car and the interest on the loan have been paid in full. Assuming, that is, that your credit score qualifies you for loan in the first place. But what if someone offered you a crazy loan? A loan so insanely good that you’d be a fool to refuse it? These are the terms you’re being offered: You pay no money down, none at all, but you get to drive the car off the lot today. 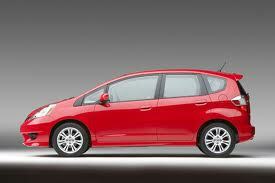 You make no payments for four full years, with the option to add a couple of years should it prove necessary. Once that time is up, you will never be asked to pay more than ten percent of your yearly income to the loan holder, and you can pretty much take as long as you need to pay the loan off. Oh, and did I mention that the interest rate on your loan is less than the Prime Rate? Would you take this loan? A lot of people would. But let me ask an outside-the-box question at this point: With demand so high, and loans like this available, what happens to the price of cars? That’s right. The price will go up and up and up until lenders stop making these crazy loans and people are forced to buy with real money, straight from their savings accounts. This isn’t a hypothetical situation. Loans like this are being offered and accepted right now. I’ve only changed one detail. The commodity in question isn’t a new car. It’s a college education. The price of higher education isn’t going to go down until people are unable to pay it. Federal student aid allows people to pay these inflated prices. While that may seem to be a good thing, who is really better off? Is it the debt free high school grads, who can afford to work their way up from the bottom? Or is it the newly minted college graduates, tens of thousands of dollars in debt in their early twenties, praying for a salary that will cover their loan payments? Persistent student loan debt isn’t just a problem for people with relatively useless degrees like English Literature. I know a doctor–a doctor–who is still paying off her student loan well into her forties and cannot afford to send her own children to college. If President Obama really wants to help students, he needs to stop luring them into debt. Instead of students loans, the administration should offer cash incentives to public colleges and universities to cut down administrative expenses and offer more classes at a cheaper price. After all, no one needed a student loan when college classes were free.